A section of the former Isolation Hospital. 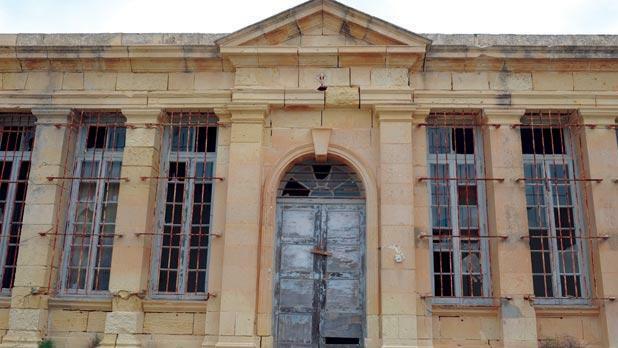 The government has reported strong interest in its call for expressions of interest from persons or entities wishing to utilise four long disused historic buildings. The properties are Strickland Palace in Zebbiegh (for which 44 documents were collected) Busbesija (28 documents) Palazz l-Ahmar (Red Palace in Marfa, 26 documents) and the Isolation Hospital in Mtarfa, 16 documents. Tal-Busbesija, near Mgarr, served as anti-aircraft battery to protect Ta’ Qali airfield in World War II. The Red Palace (not to be confused with the Red Tower) was originally built as a coastal battery in 1716. Throughout the years, several modifications and extensions were made to it. It served as hotel in the first half of the last century. Until recently, the palace was used as a summer residence by the St Joseph Home of Santa Venera. It was then vandalised by squatters. The Isolation Hospital was built by the British Services in 1924 as part of the nearby hospital and barracks. About 15 years ago, parts of the building suffered considerable damage when it was set on fire. The structure was scheduled as a Grade 2 national monument in 2008. Strickland Palace, near Mgarr, also known as Charlie's Castle, was built about 100 years ago in British military style.